This is our 8th year of conducting weekly open water swims at National Harbor, Md. and we continually look for new ways to guide you to better more enjoyable open water swimming. Now we introduce the Fish Face Open Water Swims that enable you to focus on fundamentals and train for fantastic finishes in a race setting. For 2018 our Weekly Swim schedule includes 20 Sunset Swims and 17 Sunrise Swims ranging from May 16 - October 3. All swims are at least one hour, weather permitting. Start time varies as the season sunsets change. Our swims includes 250-400 meter marked course, followed with happy hour or brunch gathering at a local National Harbor restaurant/bar. What are the weekly Sunset and Sunrise swims? These swims are for practice and training and are NOT clinics or learn to swim classes. You should be comfortable swimming at least 500 meters nonstop in the pool. Look for us on the commercial pier (look for the water taxis) in front of the Pier House Restaurant. Check in begins 20 minutes before the swim. See home page for this week's start times and updates. Approximate start times are 1:20 prior to sunset. Arrive early to check in and be numbered. Purchased passes will not be refunded or transferred. Online price is $25 and closes at 3pm Wednesday for the Sunset Swim or 8pm Saturday for the Sunrise Swim, on site waterside registration is available for $30. If the current week's swim is canceled due to weather, rain checks will be given for the following week's swims (Wed and Sunday) ONLY. This is not a credit and only applies to online registration, no exceptions, no transfers. You DO NOT need to register again. From time to time, we will offer additional features at our weekly swims. For 2018 look for Yoga for Swimmers after the Sunday Sunrise Swims, cycle clinics from Wheel Nuts Bike Shop, clinics on health & skin care, strength training, plus Denis' open water inspirational word and tips. IMPORTANT: Please read our Disclosure below. SHOW US YOUR FISH FACE! WaveOne Open Water is focusing efforts on providing different opportunities for race style timed swims with the new Fish Face Open Water Swim Series. Instead of two events, now you have five days to accelerate your swim open water swimming. Perfect for triathletes in training, these swims are designed for the beginning swimmer as well as the seasoned open water swimmer. 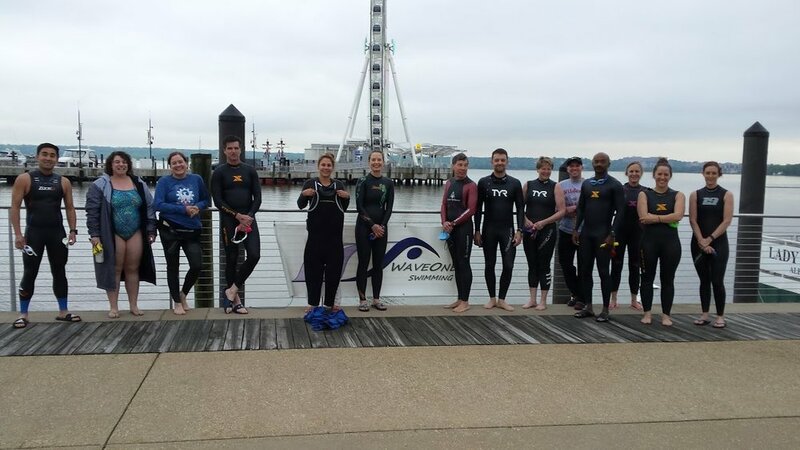 As a part of the Weekly Open Water Swim program at National Harbor, five summer Sundays are dedicated to performance by offering a choice of distances to practice skills and test your open water swimming progress. Each Sunday provides two or more compatible distances from which to choose to swim at race pace, including 750 meter/1500 meter, 1.2 mile/2.4 mile, and 5K/10K. 2018 Fish Face Open Water Swim Series - 5 Sundays from July 8 through September 30. 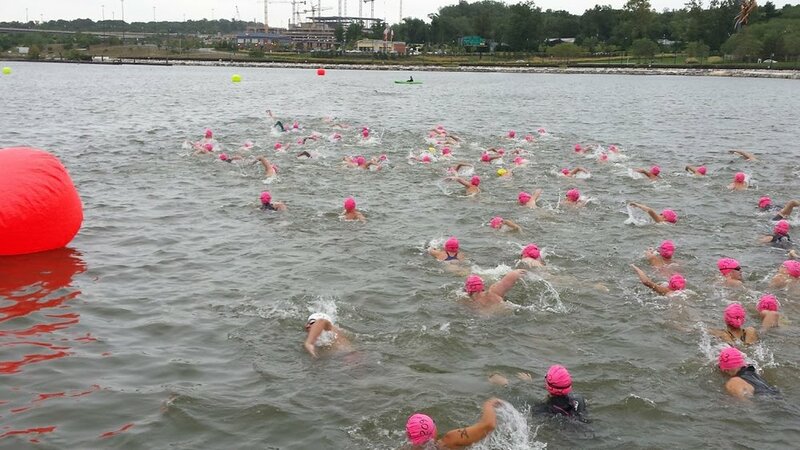 Swimmers will be numbered and begin an in-water mass start in the north cove at National Harbor. All swimmers are welcome to swim any number of laps or loops of the course. Course configuration and distance corresponds with that day's targeted distances. Times will be posted on line following the day's swims. Each course will be modified to provide conditions suited for that particular distance. The Fish Face Swim Series in included in your Gold, Weekly Summer Unlimited and Sunday Swim Memberships (however register for each swim). These swims replace HarborFest and Swim for the Potomac. Email info@waveoneswimming.com for more info and questions. Please read our Disclosure below. Open water swimming involves variable conditions. Every day is different. Every swim is different. Please see our website for schedule and weather updates particularly prior to event date for confirmation of start time. Cancellations due to weather shall be determined in the best interest of the swimmers and no refunds will be given for weather cancellations. All swimmers swim at their own risk. Risks may include potential injury and death. Be safe. For safety considerations, we operate in exclusive restricted areas. We reserve the exclusive right to prohibit or restrict the entry of any swimmer or person to the water or staging area, for any reason, at the sole discretion of WaveOne Open Water, its coaches, and/or safety personnel. We reserve the right to require swimmers to wear or employ additional safety devices or measures. Failure to follow these recommendations or restrictions constitutes permission for removal from the event premises. Prices and event times subject to change without notice. No refunds or transfers. Park, parking, or entrance fees are not included in the swim/clinic or event fee, unless indicated in the checkout item. We do not allow coaches to bring swimmers for private coaching unless previous arrangements are confirmed in writing at least 48 hours in advance. No coaches, friends or family members are allowed on the dock during swims. NO exceptions.